South Korea's development over the last fifty years was not so spectacular. Half a century ago this country was poorer than Mozambique and Bolivia. Today it is reacher than Spain and New Zealand, with per capita income of almost USD 23,000. For fifty years, its economy has grown by an average of seven percent annually, contracting in only 2 of those years. South Korea joined the Organization for Economic Cooperation and Development, the club of rich industrialized countries in 1996 and soon became the 1st Asian country and the first non-G-7 member to host a G-20 summit. To call South Korea an emerging market is a bit of anachronism. The country is a rich, technologically advanced, mature democracy with an impressive record of innovation, economic reform, and sound leadership. South Korea has the deep, well-regulated debt and equity markets of a developed economy such as Japan, but in an economy with higher growth and greater dynamism. It is far more transparent than its giant neighbor, China, with greater protections for investors, including the rule of law. The country's manufacturers are competitive globally; the service sector represents an emerging opportunity. Being one of the fastest growing markets both in Asia and globally, South Korea shows significant increase of interest for cutting edge technologies in a wide spectrum of industries. 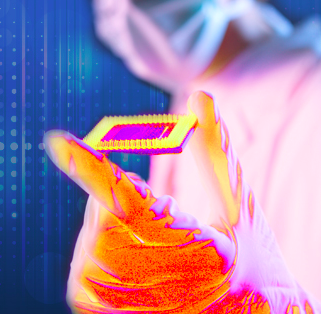 Terahertz imaging becomes more demanded in non-destructive testing and security screening, therefore it was obvious for Terasense to expand the pool of partners in South Korea with another experienced player in non-destructive imaging technologies. 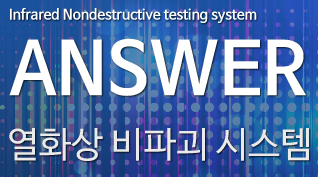 Terasense is happy to announce partnership relations with ANSWER (www.rnekorea.co.kr) as an official distributor of our products in South Korea. ANSWER was founded in May 2011. The company specializes in infrared, thermal NDT and 3D scanning technologies with previous 10 years experience in manufacturing of infrared cameras. The company cooperates with a such well-respected customers like POSCO, Samsung Electronics, National laboratories, research institutions and universities. Having analyzed the perspectives of the NDT segment development, ANSWER has decided to expand its product line-up with Terasense THz imaging solutions. Our team is excited by this opportunity of becoming a partner of ANSWER in South Korea.